‎There's was a moment in the introduction to the JFK Assassination film, PARKLAND, where the director, Peter Landesman, said that people rewatch the Zapruder tape because they hope that this time, maybe this time, the awful horror won't happen and the ending will be different. I feel the same watching the onboard camera footage from Imola 1994. I seek it out, hungry for documentaries on Formula One in general and Imola in particular. And every time you watch you will the ending to change and cry when it isn't. I'm not sure why I get so upset. I'm not a massive Formula One fan but Senna was a childhood hero and his death, watched live in my home, was a tragic shock, and begged the cruel question: was Imola worth that beautiful glorious Interlagos win? Did we need to accept the tragedy in order to get the triumphs? Was this just a part of Formula One? 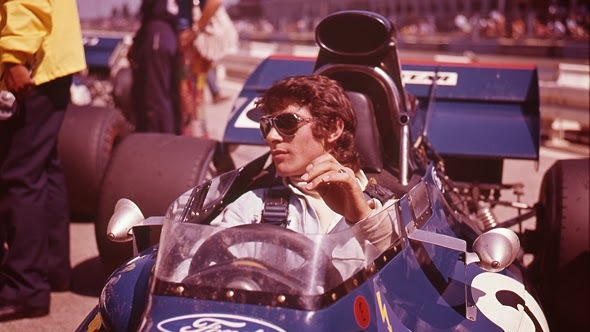 Paul Crowder's exceptional new documentary answers that question, and in doing so gives us an amazing historical sweep of Formula One's attitude toward safety. He starts with the tragic crash of Jim Clark - one of the greatest all time drivers - at Hockenheim 1968 and contrasts this with that amazing Martin Brundle crash at Melbourne 1996. If we have the same amount of crashes now as then, how is it that Brundle walked out unscathed, and got back into a car to finish the race, but Clark died? The answer is that for too long, the FIA and organisers just didn't care about safety - or didn't want to spend the money and time to make the races safe. They didn't have crash barriers, medical care wasn't standardised, the courses weren't properly stewarded. And even with high profile crashes - whether or not fatal - Jochen Rind to Niki Lauda - too often the drivers themselves just wanted to race faster despite efforts from racers like Jackie Stewart, Lauda et al trying hard to improve conditions. So, we get to the 1990s and suddenly racing as Bernie Ecclestone selling the TV rights which brings in the money and the TV audiences. This is crucial because you get people like me shocked at the death of Senna and public outcry that guys still die racing. And you get the money to make a difference - and thank god for Bernie hiring Professor Sid Watkins to standardise medical response. What I love about this documentary is that puts the recent films SENNA and RUSH in their proper historical context, both in terms of how racing deals with safety, but just more broadly in terms of how driving has evolved. We see wonderful early footage of icons like Fangio and Clark and Stewart and Graham Hill and love them once again. Crowder spends a lot of time of Hunt-Lauda which is fantastic, less on Senna, which is a shame, but I do understand that, because he wants to focus on the 1970s. This was the pivotal time in which the cars were getting a lot faster, but the tracks were still woeful - when the technology had outpaced the still amateurishly run sport. It's the key to understanding the film. Crowder has crafted a movie that's fair, beautifully edited, with a great driving sound-track and most of all, the blessing of Formula One. What that means is that everyone talks to him, honestly and candidly. From Jackie Ickx who still isn't a big fan of safety over speed to Jackie Stewart who is still a powerful advocate. We see the modern generation of racers - Lewis Hamilton - who seem almost cavalier about safety because - than god - they've come to fame in a period where it's much better. And we hear from a lot of the true modern greats - not least Michael Schumacher. The resulting movie is a must-watch for anyone interested in Formula One, and especially newbies who's interest has been piqued by SENNA and RUSH and want to know more. I thoroughly enjoyed it, was educated by it, and came out with a newfound respect for Formula One drivers in general, and Sid Watkins in particular. 1 has a running time of 110 minutes. The movie is available as VOD in the USA and will be released in the UK next spring.